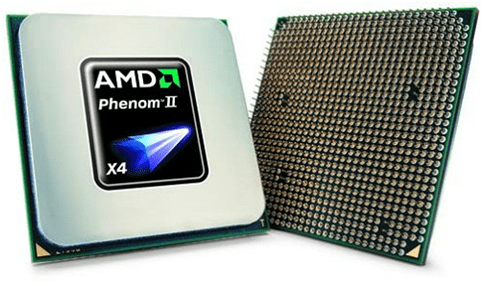 At the beginning of this year, AMD introduced their Phenom II X4 platform. Although at the launch they had only released two processors under this platform, but over the next several months AMD had achieved many milestones in the development of their processors. One of these milestones was the release of the AMD Phenom II 955, which had a stock speed of 3.2GHz. It was even quoted that home users would able to overclock to 3.6+ GHz using the stock heat sink. Not only does this processor has some serious power behind (equal in performance to the Intel Q9550), but it’s also only priced at $175, which is over $120 cheaper than the Intel Q9550. So how did AMD manage to get such a well performing processor at such an incredibly low price? The Q9550 can be purchased at Microcenter for $169.99, all day, every day. It’s not a sale price. This makes the Phenom II 955 not so remarkable, especially given the power envelopes of both processors. As expected out come the fan boys!